Update: New filming dates = September 8th to October 28th. 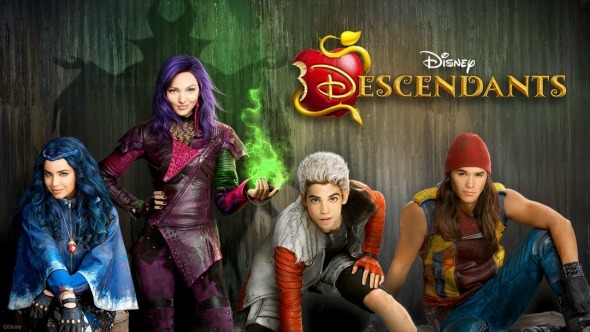 Wildly popular fairy tale musical Disney’s Descendants — about the teenage children of classic Disney villains and heroes — returns to Victoria and Vancouver this summer and early fall to shoot a sequel. Directed and choreographed by Kenny Ortega (High School Musical), Descendants stars Dove Cameron as Maleficent’s daughter Mal, Booboo Stewart as Jafar’s son Jay, Cameron Boyce as Cruella’s son Carlos and Sofia Carson as the Evil Queen’s daughter Evie. 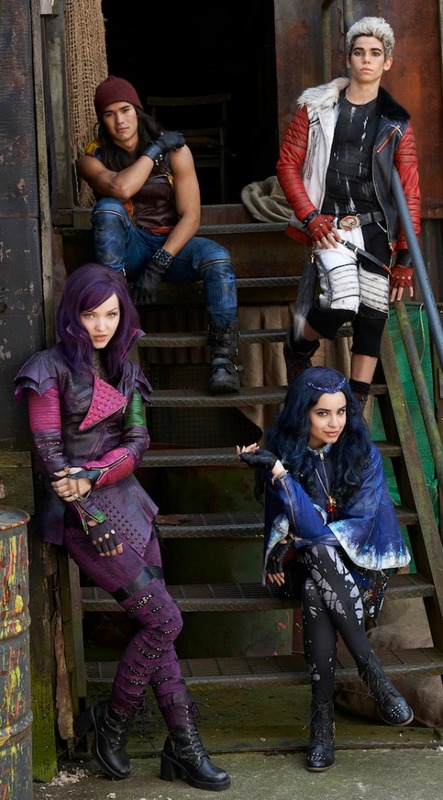 Disney’s Descendants ranks as the fifth most-watched original cable movie in history, with a preview audience of 1 million on a Disney channel app, a premiere audience of almost 7 million on the Disney Channel and more than 10 million more views on playback. What was it about? Queen Belle (Keegan Connor Tracy) and King Beast (Dan Payne)’s son Ben (Mitchell Hope)’s first proclamation as he prepares to take the throne in the Kingdom of Auradon is to give amnesty to the teen descendants of banished Disney villains Maleficent (Kristin Chenoweth), Jafar (Maz Jobrani), Cruella De Vil (Wendy Raquel Robinson) and the Evil Queen (Kathy Najimy) and ask them to join descendants of Disney heroes at the same prep school. What could go wrong? As you can see, Ben falls for Mal, filmed at the BC Parliament Buildings as Auradon. Hadley Castle played the prep school. And North Vancouver’s Lynn Canyon was the setting for an early date between Ben and Mal. Several local actors got a big break as hero descendants including Cinderella’s son Chad (Jedidiah Goodacre), Mulan’s daughter Lonnie (Dianne Doan), Sleeping Beauty’s daughter Audrey (Sarah Jeffery) and Dopey’s son Doug (Zachary Gibson) as well as the Fairy Godmother’s daughter Jane (Brenna D’Amico). The Descendants with director Kenny Ortega. 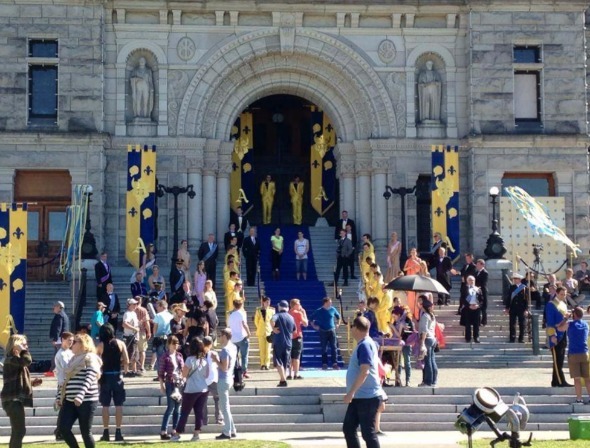 Disney’s Descendants 2 is scheduled to film in greater Victoria and metro Vancouver from Septenber 8th to October 28th (dates subject to change) under working title The Lair.